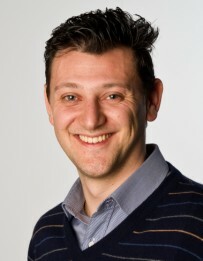 Fabrizio Dominici is Head of the Mobile Solutions research area of ISMB with the responsibility to manage a group of more than 20 researchers that work in the domain of mobile technologies and the emerging paradigms of data management, aiming to support the innovation of products and processes in several domains, prototyping end-to-end solutions. Since 2012, he is also director of the Microsoft Innovation Center of Torino, which is an innovation unit set up through a cooperation agreement between Microsoft Corporation and ISMB and focused on the IoT paradigm. He has a valuable experience in developing international multidisciplinary research and development projects at National and European level, acting as program and project manager.He is the coordinator many European projects (such as FLOODIS, ASSIST and I-REACT) and author of several papers.